Kai has been exposed to the HR industry very early on, his father being one of Germany’s leading executive search consultants. This may well be the reason for the fact that the HR field has always remained a strong interest of his. After graduating from Frankfurt International School in 1990 Kai completed a vocational training program (Banklehre) in the field of Banking and Finance with a small merchant bank in Frankfurt. Thereafter Kai graduated from Northwestern University with a double-major in Economics and Philosophy. During his organizational behavior studies Kai already began projects at Compaq Computer Corp in Human Resources Development, and upon graduation in 1995 was assigned to Singapore where he began work as Program Manager for a Material Management and Procurement Reengineering Initiative aimed at reducing obsolescence. This lead to involvement in the company’s global SAP implementation, and his involvement in the Global Program Office managing the first the Asia Pacific and thereafter EMEA region’s Configure to Order project implementation. In 2000 Kai followed his former manager at Compaq to an online recruiting company that was acquired by Monster in 2001 where he had European responsibility for the company’s ATS business. In 2002 he was asked to take over the role as Managing Director of Monster Germany, executing a turn-around of a loss-making business, and then acquiring and integrating the largest player in the market, jobpilot. Following this in 2004 Kai was named Head of Marketing and Communication for Monster Europe. The main areas of responsibility were first a consolidation of 14 local subsidiaries into 4 sub-regions, as well as an increase of the European Marketing budget by factor five in 18 months. In June 2007 Kai left Monster to work freelance on a variety of projects in post-merger integration, restructuring, recruiting strategy, and project management for a variety of clients ranging from local startups and the localization of local subsidiaries of multinationals in Germany, to Hewlett Packard EMEA, where he successfully executed the Software Divisions hiring in 2007 & 2008 of more than 500 positions as part of a global project. The relaunch of Eurosearch in 2008 has been one of his main focus areas. Kai also worked on a market-entry strategy and executed the plan to bring LinkedIn into the German-speaking market in 2011. 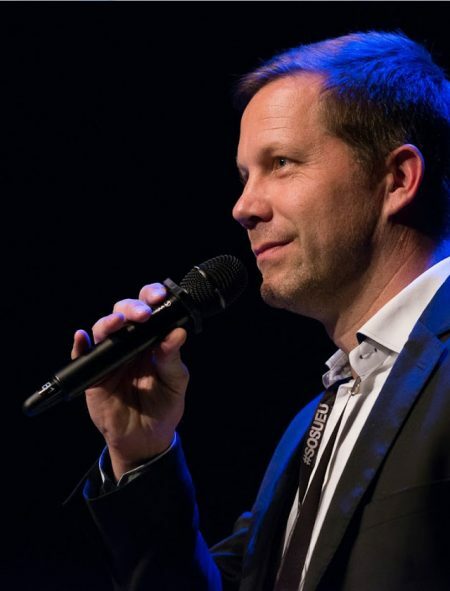 Since 2012 his main focus is to bring the benefits of Social Media recruiting and Professional Networking closer to German employers, and to highlight the need for Active Sourcing strategies in order for a more efficient and successful execution of Recruiting, which is required in a market with more than 1 million unfilled jobs. He has been a Partner at Eurosearch, and has been instrumental in the company’s successful growth. Kai’s passions outside of work are diverse: aside from spending quality time with his family he enjoys sports, particularly football and skiing, and he also enjoys the reward of a fine meal and a good glass of wine alongside that. Personally being involved in having individuals see and understand, and thereafter helping them unlock and to live out their full potential is one of his biggest sources of satisfaction. He is a frequent public speaker in the field of HR for both students and professionals, be that at company events or the gatherings of industry associations.